India hopes to continue the initiatives already started. Taking over the presidency of the Brazil, Russia, India, China, South Africa (BRICS) bloc from Russia on Monday (February 15), India will continue with initiatives begun by Moscow, while adding some of its own, believes former Ambassador HHS Vishwanathan. India will continue the initiatives begun during Russia’s leadership as it assumes the presidency of BRICS this month, said H.H.S. Viswanathan, former Ambassador and senior fellow at the Indian Observer Research Foundation (ORF), during a video conference in MIA "Russia Today" (not to be confused with RT (Russia Today) International TV channel). "One of the important features of the BRICS is the continuity of initiatives offered by each of the countries. India hopes to continue the initiatives already started and, as this year’s president, India would also like to add new initiatives", he said. Proposals for the closer economic unification of the countries during India’s presidency of the BRICS will be coming both from the government and from the scientists, Vishwanathan believes. "First, a BRICS Digital inclusion workshop will be held. During the event, experts in digital and cyber technologies of all the countries will discuss the important issues in digital accessibility," the analyst said. Then there will be a seminar on "Smart cities". "We are trying to find innovative solutions and share expertise on the management of urbanization. We plan a seminar on "Smart cities" in August," said Vishwanathan. “We will then hold a meeting of the Board of analytical centres of the BRICS, in which the results for the year will be announced. 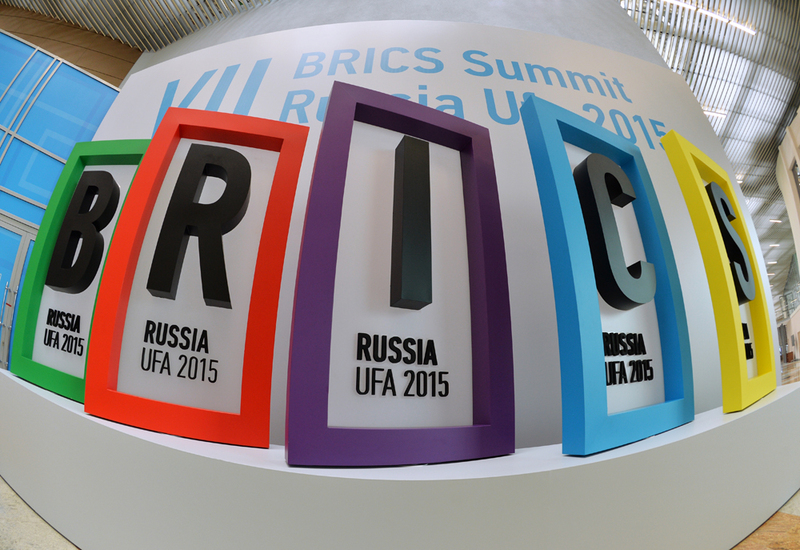 Then, a month or six weeks before the BRICS summit, the BRICS academic forum meet will be held. Based on those recommendations, we will prepare a report, which will be sent to the government for further consideration by the leaders,” Viswanathan explained. During the forum meeting, experts will identify and discuss 10 or 12 topics, which are important for the BRICS, such as health, education, globalization, security and others. Speaking about a possible military component to the BRICS bloc, Viswanathan said that was unlikely to happen. "It will be extremely difficult to engage the BRICS in military intervention," he said. India has traditionally refrained from participating in any military alliances, he pointed out. "As for India, traditionally it has not been involved in any kind of military alliances. Even if it is not a military intervention, but, for example, BRICS peacekeeping missions say, in Syria or the Congo, as a BRICS group, we can do so only if we get authorization from the UN," Vishwanathan concluded.